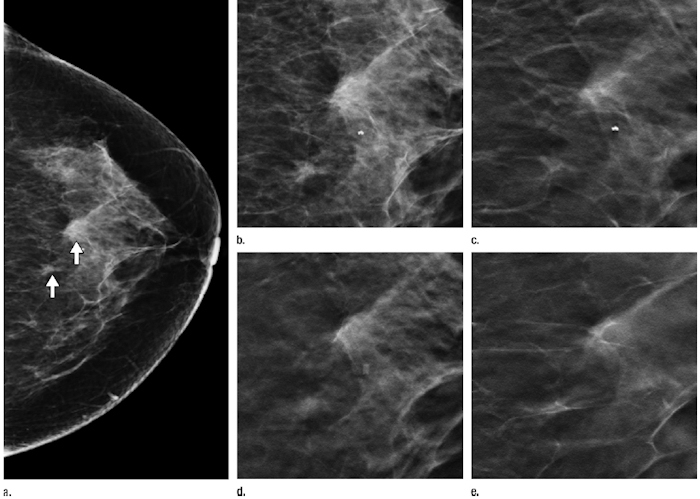 January 5, 2015 -- Adding tomosynthesis to digital mammography for breast cancer screening reduces recall rates by 37%, with the technique recording better performance for certain types of breast abnormalities, according to a new study in the January issue of Radiology. Since tomosynthesis was approved as an adjunct to digital mammography in 2011, studies have shown that it reduces recalls at rates ranging from 30% to 40%. But how does the technology perform with particular mammographic abnormalities? A team from Yale University evaluated the use of breast tomosynthesis in clinical practice, specifically identifying the breast abnormalities that had the greatest reduction in recall rates. Dr. Melissa Durand from Yale University. 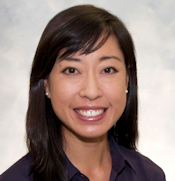 "Fewer recalls from screening mammography could have great benefits, including lessened patient anxiety and decreased annual expense," wrote lead author Dr. Melissa Durand and colleagues. "The purpose of this study was to examine recall rates from screening mammography and the mammographic findings that caused recall in women who underwent digital breast tomosynthesis with conventional mammography and in women who underwent conventional mammography alone." Durand's group conducted a retrospective review to compare digital mammography plus tomosynthesis (2D + 3D) exams with digital mammography alone (2D) performed between August 2011 and December 2012. The researchers evaluated recall rates and abnormalities that prompted recalls by controlling for differences in patient age, breast density, and risk factors; they calculated the cancer detection rate for the study time period and, for a historic control, from a year before the introduction of tomosynthesis (Radiology, January 2015, Vol. 274:1, pp. 85-92). The study included 17,955 screening mammograms acquired at one of four sites: a breast imaging clinic in an academic tertiary care hospital, two outpatient radiology centers, and a mobile mammography unit based in a van. Of the total screening mammograms, 8,591 (47.8%) were 2D + 3D and 9,364 (52.2%) were 2D. Durand and colleagues found that 2D + 3D reduced recall rates by 37%, with recalls going from a rate of 12.3% for 2D mammography to 7.8% for the combined technique. In addition, recall rates in the 2D + 3D group were significantly lower among women with asymmetries and calcifications, at 3.1% and 2.4%, respectively, compared with 7.4% and 3.2% for digital mammography alone. For masses and architectural distortions, the difference in recall rates was not significant, according to the authors. "Our greatest recall reductions were for asymmetries, which makes sense as one of tomosynthesis' strengths is its ability to let radiologists see through superimposed tissue," Durand told AuntMinnie.com. "This decreases the false alarms that can cause so much anxiety and drive up healthcare costs." Images of a 53-year-old woman who underwent screening mammography. Images of a 53-year-old woman who underwent screening mammography. (a) Craniocaudal 2D view shows two asymmetries (arrows) at middle to posterior depth, central in the breast. (b) Craniocaudal 2D view of the two asymmetries. Single tomosynthesis section images of the left breast in craniocaudal view in the (c) lower breast, (d) midbreast, and (e) upper breast demonstrate that the asymmetries are caused by superimposed tissue. No recall was necessary. Images courtesy of RSNA. The 2D + 3D combination also reduced baseline mammogram recall rates, from 33.1% for digital mammography alone to 20.8%. As for cancer detection rates, 2D + 3D mammography proved comparable to 2D imaging, if not slightly better: The combination found 5.9 cancers per 1,000 examinations, compared with 5.7 cancers per 1,000 in the concurrent 2D group. In the year before tomosynthesis was introduced at Yale, the cancer detection rate was 4.4 per 1,000 screening exams. Digital breast tomosynthesis has the potential to transform breast imaging and is a promising evolution of the field, the authors concluded. "Clinical adoption of tomosynthesis requires evidence of its benefits," Durand said. "Our work adds to the growing number of studies that have shown how tomosynthesis can significantly reduce recall rates while maintaining -- and even increasing -- cancer detection. It's a win-win for breast cancer screening."